The article cited, among others, former Director of National Intelligence James Clapper, who had publicly stated that he was not aware of any evidence of collusion. Notably, Clapper had overseen an intelligence-community investigation into Russia’s actions during the 2016 elections. Independent, because we are truly independent, and fact-based because we let the facts drive our reporting rather than trying to find facts to support our opinions. Not only did we not buy into the false narrative that Trump colluded with Russia, but we have also been a leader in reporting on the irregular and apparently politicized nature of the FBI’s investigation into the Trump campaign. During the past two years, we have published dozens—many of them exclusive—articles on the topic. Our fact-based approach to journalism painted a completely different picture than what was presented by other media. We reported in depth on the roles that the different agencies—the CIA, FBI, DOJ, and State Department—played in the investigation of the Trump campaign. 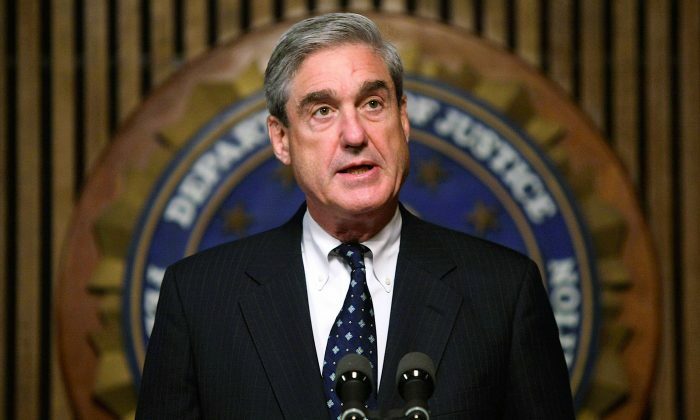 We also reported on the facts that there had been no official intelligence product to support the start of the investigation and that the politicized information contained in the so-called Steele dossier played a key role in the investigation of Trump, as well as how this information was spread throughout the government. This reporting culminated in an Oct. 12, 2018, article headlined “Spygate: The True Story of Collusion.” The extensive article, written by Epoch Times contributor Jeff Carlson, detailed everything that was known at the time about the investigations into Trump. Among the points detailed was the struggle between acting FBI Director Andrew McCabe and Deputy Attorney General Rod Rosenstein. While some media have portrayed Rosenstein as being out to subvert Trump’s presidency, our reporting showed that Rosenstein had, in fact, moved the investigation away from the FBI under acting FBI Director Andrew McCabe following the president’s firing of Director James Comey. Through testimony by former high-ranking DOJ official Bruce Ohr before congressional investigators, we had learned that McCabe’s FBI had directed Ohr to reach out again to Christopher Steele—the author of the Steele dossier—after Trump had fired Comey. This came after the FBI had officially cut ties with Steele, and his dossier had been thoroughly, publicly discredited, which suggested McCabe was trying to re-invigorate the investigation into Trump. Going forward, The Epoch Times will continue to stay true to its mission and provide factual and honest reporting that truly benefits the public. Jasper Fakkert is the Editor-in-Chief of the U.S. editions of The Epoch Times.